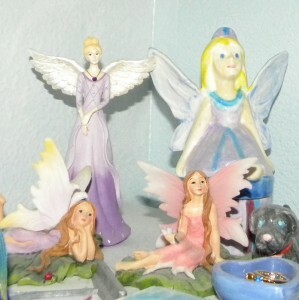 Seizing My Day » Blog Archive » Have You Every Seen a Fairy? Have You Every Seen a Fairy? 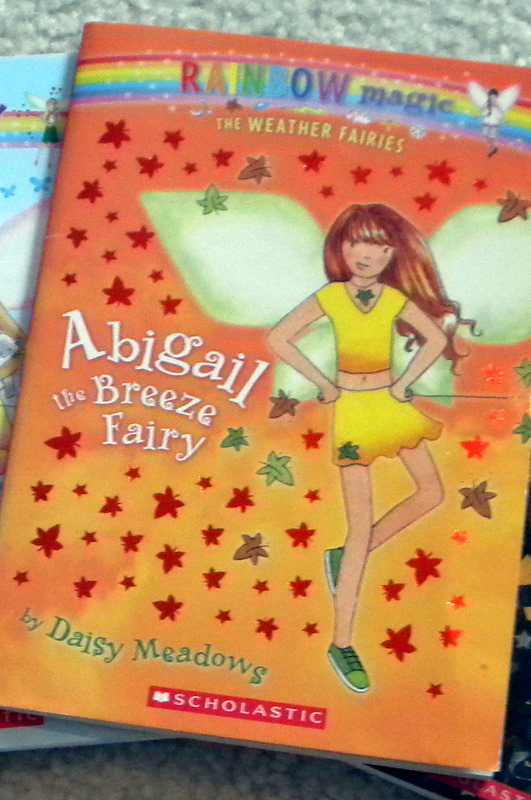 The Rainbow Fairies appeared when ABBY was in first grade. Abby and her kindred Spirit friend were convinced they were real. before I happened upon Absolutely Adorable and LOVELY little fairies in the book store! 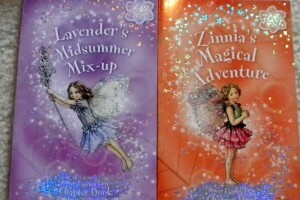 Have you ever seen these Fairy Books?? and I would definitely recommend them! 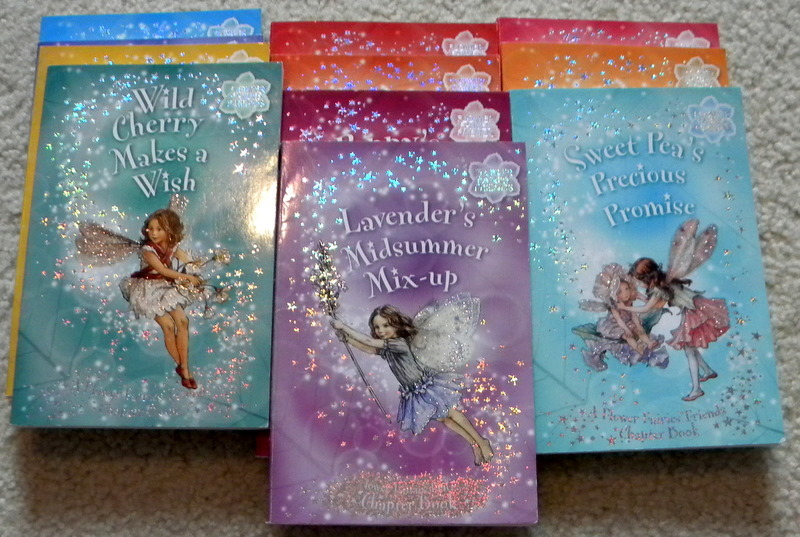 But Hands down The Flower Fairy books are my Favorite!! They stole my heart and my imagination too!! I Highly recommend these lovely little books for 1-3 grade readers! They are OH SO Sweet!! Each Fairy is named for a flower… and their lives are in the gardens where their flowers grow… they are sweet, caring, admirable little fairies who help each other out and love one another. Wonderful times reading these with my daughter!~ it has been a few years since I have read them… so I am sure my words will not do them justice!! They are LOVELY little books… we started off reading them together and once again… slowly she didn’t want to wait until nighttime reading and Abby would finish them without me!! =) and move on to the next one! 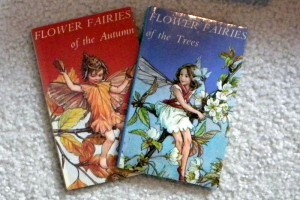 The Flower Fairy stories are based on the Original Poetry Books by Cicely Mary Barker who wrote in the early 1900’s. About the same time frame as Beatrix Potter! Cicely Mary Barker’s poems and water colors are Brilliant!! In the last decade the characters from the poems and watercolors became characters in those fabulous little books! We adored ALL of these delightful little stories! These Two were our favorites!! don’t look too closely at the body proportions, K?!! 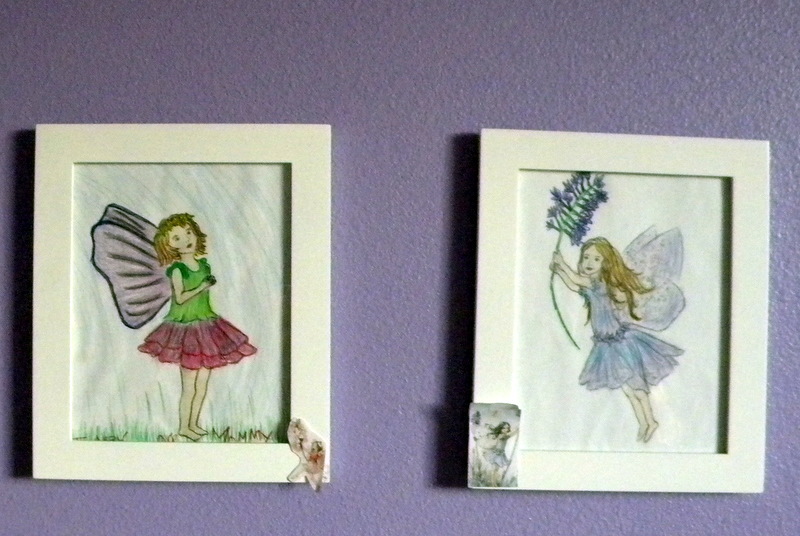 If you have a sweet 6-9 year old little girl to buy a present for in the near future… there is a good chance The Flower Fairies will capture her heart and imagination as well! Do you (or did you) have one or two or a few Favorite books series that you read with your little ones that still makes your heart smile?? Hope your day is filled with mystery and imagination!! These sound like GREAT books! We’ll have to check em out. Thanks! I can’t believe how many there are in the series! What a perfectly delightful collection of books. my kids (at school) love those books! Seriously?! SO putting these on my kids christmas list… they would LOVE them! We have a true fairy obsession around here. Thank you! These sound like such amazing books and I have never heard of them before until I stopped by here this morning. 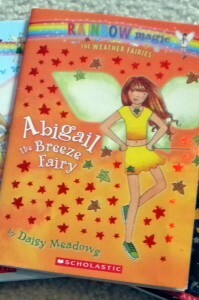 Ah, the fairy books. My eldest daughter LOVED them and although she still reads them sometimes, has sort of moved on. My youngest, who is a 1st grader, is just starting in on them and it makes me soo happy. I love it when they find a book they enjoy so that it makes reading fun, because it should be fun! Thanks for the suggestion on teh other fairy books, I bet my girls will love them too. Maybe I’ll pick up a couple for Christmas, which is scarily right around the corner! 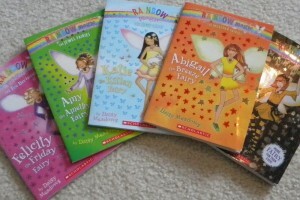 It seemed like my daughter Jessica had hundreds of those Rainbow Fairy books and she enjoyed each and every one. They have now been passed on but I agree that they are perfect reads. Have you evern heard of The Magic Faraway books by Enid Blyton? They were my favorite books as a child. They were full of fairy type characters who lived in a magical tree. A new land would arrive at the top of the tree now and then and the kids would enjoy adventures there. 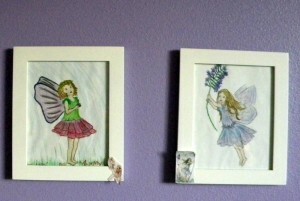 Your fairy drawings are so pretty. And those fairies you sketched? Great job, Mom!! !